Camilla is an art historian from Norway. She has a BA in Art History from the University of Oslo, and an MA and a PhD from the University of Manchester. She was a postdoc on the ARHC-funded project ‘Publishing the Philosophical Tramsactions’, where she covered the history of the world’s longest running journal at the Royal Society from 1940 to the present. A paper based on this work as relating to gender inequality recently appeared in Nature and Open Humanities Library. 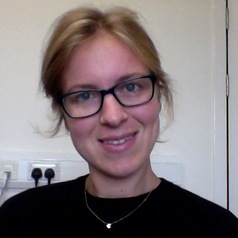 Camilla is currently Leverhulme Early Career Research Fellow at the University of St Andrews, with a project about the history of menstruation in art and advertising 1950 to the present. At St Andrews, she co-organises an early career network for women and a feminist reading group.